Germany aims to begin the switch to the next generation of digital terrestrial television in time for the Euro 2016 football tournament, which starts on the 10th June 2016. The date was confirmed by Andre Prahl, director of distribution at German commercial broadcaster RTL at the Anga Com conference taking place in Cologne. By the end of March 2017, all major urban areas are due to switch to the newer DVB-T2 standard with rural areas making the switch by 2019. DVB-T2 is the next generation of terrestrial broadcasting. The standard is used for Freeview HD in the UK. The switch to DVB-T2 will make older digital terrestrial TV receivers obsolete. In Germany, DVB-T2 is going to be introduced in conjunction with the HEVC video standard, which is more advanced than the UK's current Freeview HD system. The German system will allow 7 HD channels to broadcast per digital multiplex. 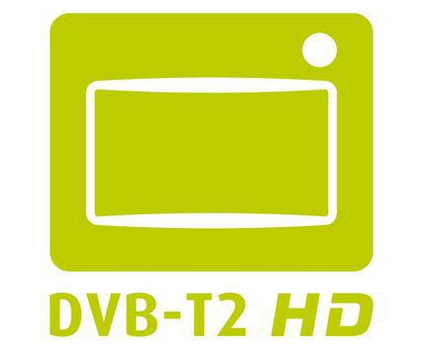 To help German consumers locate devices that are compatible with Germany's new terrestrial TV service, a new logo (pictured) has been developed with the support of stakeholders in terrestrial TV, which will begin to appear when DVB-T2/HEVC devices hit the market. Controversially, the switch to DVB-T2 in Germany will end the free-to-air availability of the country's commercial broadcasters. Viewers will be able to receive HD versions of channels including RTL, Sat.1 and ProSieben for an expected price of €5 a month per device. Standard definition free versions of these channels, where currently distributed on terrestrial TV, will come to an end. Public service channels operated by ARD and ZDF will go HD and remain free-to-air. The new service will run without the need for smartcards, following in the footsteps of neighbouring Austria's SimpliTV terrestrial pay TV service, which uses Irdeto 'Cloaked CA' technology. The system works using a conditional access module (CAM) without a smartcard, which is inserted into a DVB-T2 device. The module produces an on-screen code, which is then quoted when subscribing to the service. The move to pay TV on terrestrial TV in parts continental Europe is in stark contrast to developments in the UK and Ireland. In the UK, the last encrypted terrestrial TV channel, based on the pay TV system deployed by Top Up TV, was closed earlier this month, leaving the terrestrial platform with no pay TV operator. Pay TV continues via hybrid internet services on connected devices and via the YouView platform. Two adult channels continue to use a nightly PIN code system using a MHEG application to connect viewers to hidden video streams. This system means it's impossible to offer a subscription service without viewers having to repeatedly obtain new codes. In Ireland, attempts to set up a terrestrial pay TV platform have thus far failed. In short, countries where multichannel free TV blossomed in the 1990s are now switching to pay TV and countries where multichannel meant pay TV in the 1990s can now receive an ever-increasing selection of channels for free.